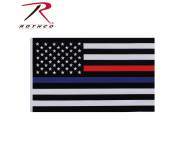 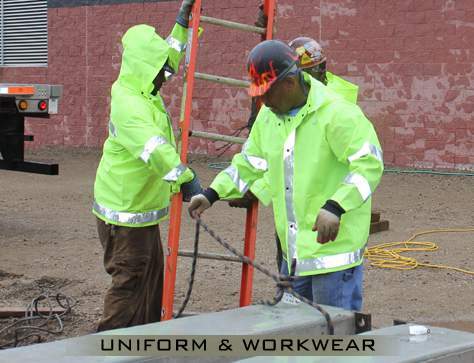 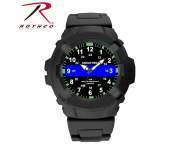 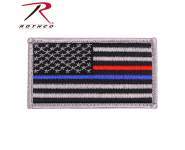 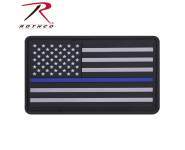 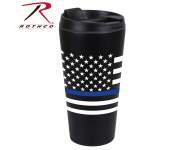 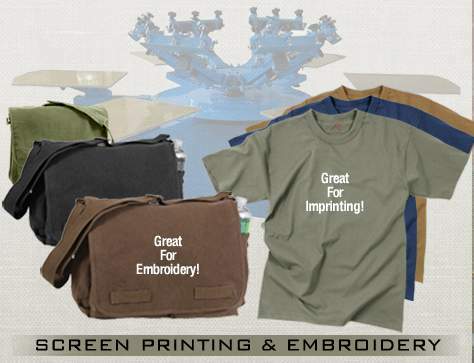 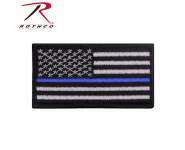 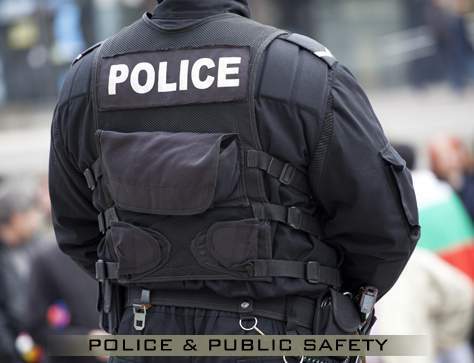 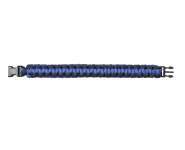 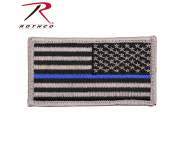 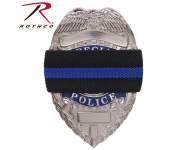 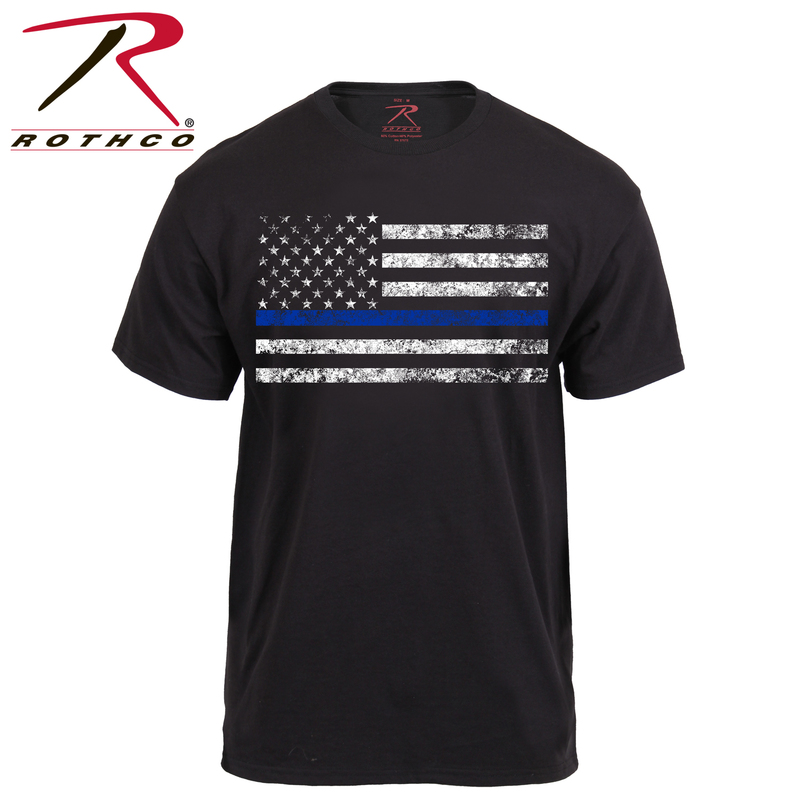 Wear your support of the police and law enforcement officials proudly with Rothco’s Thin Blue Line T-Shirt. 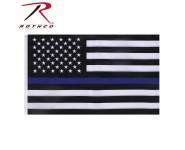 The Thin Blue Line is a symbol of respect and support for Police and Law Enforcement Officials; show your support with the Rothco’s Thin Blue Line T-Shirt. 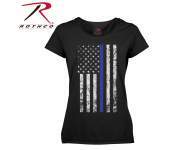 This soft, cotton/polyester blend t-shirt features a distressed US Flag with a thin blue line printed on the center chest. 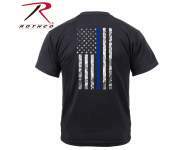 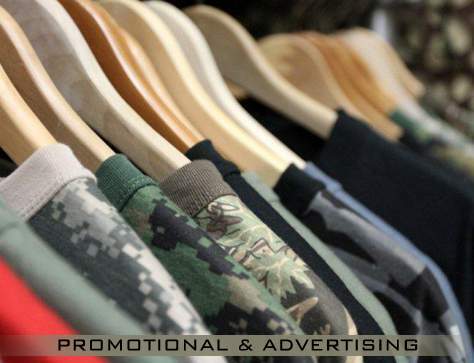 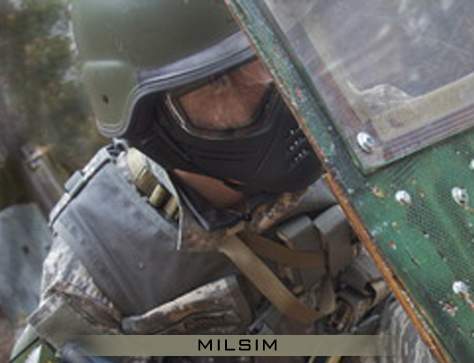 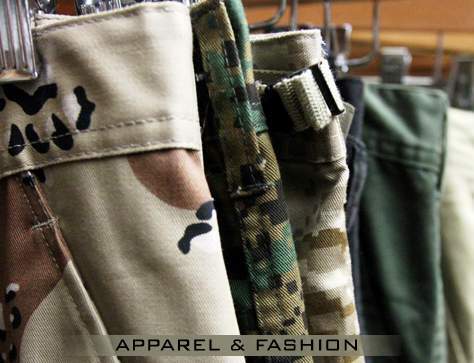 A tagless neck label adds to the comfort of the thin blue line shirt.